Elderly and vulnerable, 16 men and women became prime targets for theft. Barbara and Ken Martin never stood a chance. Thoroughly outmatched, their legal fight to free Barbara Martin’s aunt, Helen Hugo, from the grip of what they believed to be an unwarranted guardianship in 2012 ended in a humiliating defeat. Not only was Hugo, then 81, declared mentally incapacitated, but the last of her retirement savings was awarded to the attorneys who represented her. Among them was her court-appointed temporary guardian, Barbara J. Lieberman. Barbara and Ken Martin communicate with Helen Hugo through her window at Meadowview, a county-run nursing home. For the past few years, Barbara Martin, right, has been banned from entering the facility. The court left her broke. The Martins say they only wanted what was best for Hugo. Never married, she lived by herself with her cat, Sweetie Pie, in an apartment in Buena, Atlantic County. The Martins’ bid to help Hugo backfired miserably, however. Accused by Lieberman and others of a host of illegal acts, including Medicaid fraud and forgery, they wound up under a cloud of suspicion. It still hovers over them today, three years after the trial. 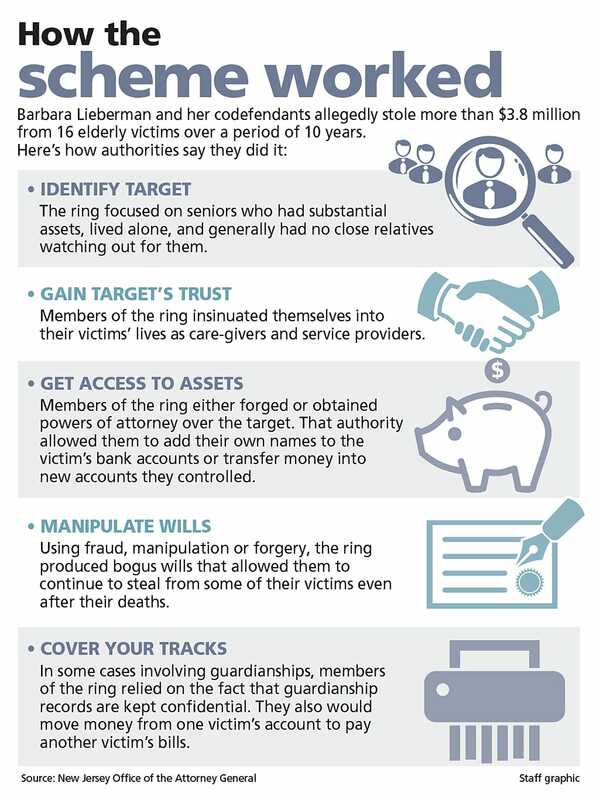 Lieberman was stealing from some of her elderly clients. Her secret still safe, Lieberman was free to continue her deception. If not for an alleged accomplice’s pangs of conscience, she might be doing it still. There are fundamental flaws within the structure of guardianship. In the U.S., scamming the elderly is a nearly $3 billion-a-year-business. Its growth potential is off the charts. America is getting grayer by the day. By 2050, the 65 and older population is expected to hit 80 million, almost double what it is now. Within 12 years, seniors will comprise 20 percent of New Jersey’s population, up from 14 percent in 2012. The scams run the gamut. Becoming a guardian in order to exploit someone is one of the most effective tricks, because it gives a predator total control over someone’s life and assets, usually with little or no court oversight. Dr. Sam Sugar, a Florida internist, has been advocating for reforms to guardianship laws in his home state and across the U.S.
Dr. Sam J. Sugar, a Florida internist turned guardianship abuse activist, likens these crimes to identity theft and human trafficking, rolled into one. But there’s a key difference, he adds. Guardians have the blessing of the courts. “It doesn’t matter if you’re incapacitated or not. It’s about making money,” he says. In the only two states that track the amount of assets under guardians’ control, Minnesota and Idaho, the combined total comes to more than $1 billion, says Brenda K. Uekert, a leading guardianship expert. Sugar says guardians in the U.S. control $24 billion a year in Social Security payouts alone. That figure is based on 1.5 million guardianship cases and an average annual Social Security benefit of just under $16,000. When property, stocks and other assets are factored in, the amount of wealth in the hands of guardians is in the “multiple trillions,” Sugar believes. An even easier way than guardianship to gain access to that money is to get an elderly person to sign over a power of attorney. The document gives whoever the elderly person designates the authority to act on his or her behalf in legal and financial affairs. 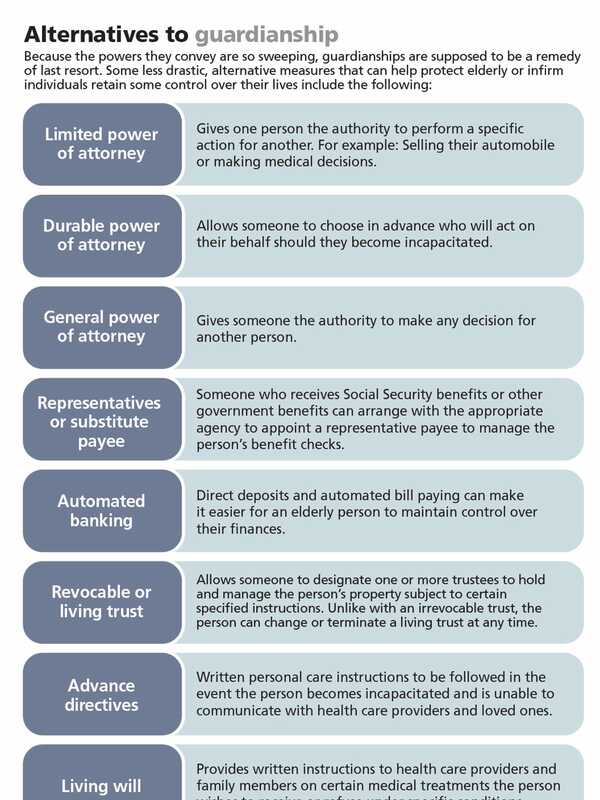 With guardianships, there’s at least the potential for checks and balances. Judges, attorneys and county surrogates all play an oversight role. At least, they’re supposed to. In New Jersey, as in other states, guardians are required to file periodic reports updating the court on their wards’ care and finances. With powers of attorney, there’s no such paper trail. It’s little surprise, then, that the majority of Lieberman’s 16 victims involved powers of attorney. Three others were guardianship cases. “Only in three cases did she (Lieberman) have to file accountings with the court. That left 13 cases where there were no prying eyes,” says Martha Latham, a California business professor and author of “The Con Game: A Failure of Trust.” The book covers guardianship abuse and other scams targeting the elderly. 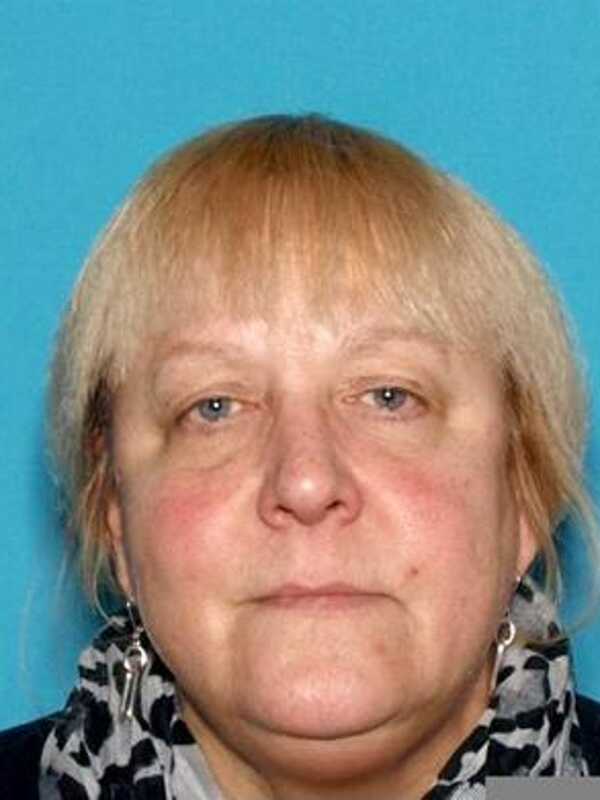 A prominent elder law attorney in Atlantic County, Lieberman, 63, had a team of accomplices to help her scoop up victims, authorities say. To date, a grand jury has charged five co-defendants. They are all presumed innocent and all but one are still awaiting trial. Lieberman was the quarterback of the group, a judge has said. The group zeroed in on seniors in their eighties and nineties. Many lived lonely lives. Most had no children or close relatives to watch over them in their twilight years. Irma Schwarzberg was a prime candidate. She was 87. Alone. And vulnerable. As a child, Linda Carestia loved visiting her “Auntie Irma’s” toy shop on her visits to the Jersey Shore. Her aunt — really a much older cousin — let her pick any toy she wanted, provided it wasn’t too big for her to lug home on the train back to Massachusetts. Along with the sweet taste of salt water taffy and the deep-fried aromas along Atlantic City’s famed boardwalk, those toys made Schwarzberg’s adopted home seem like a magical place. It was easy to see why Schwarzberg, whom Carestia describes as a feisty, “spark plug” of a woman, left Massachusetts and settled in Ventnor. Decades later, though, when the two reconnected following the death of Schwarzberg’s brother in 2009, the magic was gone. By then, Schwarzberg, long divorced, lived by herself in a neglected house just blocks from the beach. Watching over Schwarzberg was a group of women Carestia didn’t know. One was Lieberman, Schwarzberg’s attorney; the others were Jan Van Holt, her sister Sondra Steen, and Schwarzberg’s home health aide, Susan Hamlett, Carestia and authorities say. Van Holt, Steen and Schwarzberg have not yet pleaded to the charges against them and are presumed innocent. Jan Volt Holt is charged with stealing money from elderly clients she dealt with through her business, A Better Choice. Van Holt formerly worked as a caseworker for Atlantic County Adult Protective Services, the same agency that initiated Helen Hugo’s guardianship in 2011. In her county job, Van Holt crossed paths with Lieberman, one of a handful of private attorneys regularly assigned by the court to represent elderly clients in guardianship and estate cases in Atlantic County. A hard-featured woman in her fifties with chopped blonde hair, Van Holt later sued the county, unsuccessfully, claiming it failed to stop a co-worker from sexually harassing her. Van Holt stopped working for the county in 2006 and started her own business, A Better Choice. The company offered senior citizens a variety of in-home services, including running errands, scheduling medical appointments, and paying bills. The Van Holt Carestia knew cultivated the look and lifestyle of a successful entrepreneur. She wore designer clothes and stylish scarves, and rolled up to her clients’ homes behind the wheel of a shiny Mercedes, her toy dogs in tow. Key characters in the controversy over guardianship. “Fancy cars and fluffy puppies” is what Carestia remembers most about her. She also recalls Van Holt’s excitement about a condominium she’d recently bought. Carestia says Van Holt even invited her and her husband, John, down for a visit to the posh island off Florida’s Gulf Coast. Years earlier, on Jan. 5, 2005, Van Holt’s sister, Steen, obtained a power of attorney from Schwarzberg when she was 87, according to a record on file with the Atlantic County Clerk’s Office. A little over a year later, Steen obtained a reverse mortgage for $405,000 on Schwarzberg’s home, according to county clerk records. Such loans provide cash payments based on the home’s equity. This is how authorities say the scheme worked.Click to open and close. Carestia says she knew none of this, but her suspicions were aroused when a piece of jewelry Schwarzberg had showed during one of her visits later disappeared. One day, Carestia says, Van Holt called her with alarming news. Schwarzberg herself was missing. Van Holt told her that Hamlett, the home health aide, had disappeared with her, Carestia says. Carestia says Hamlett had a falling out with Van Holt and brought Schwarzberg to see an attorney, who notified authorities that Schwarzberg was likely the victim of elder abuse, a chronology that a source has confirmed. 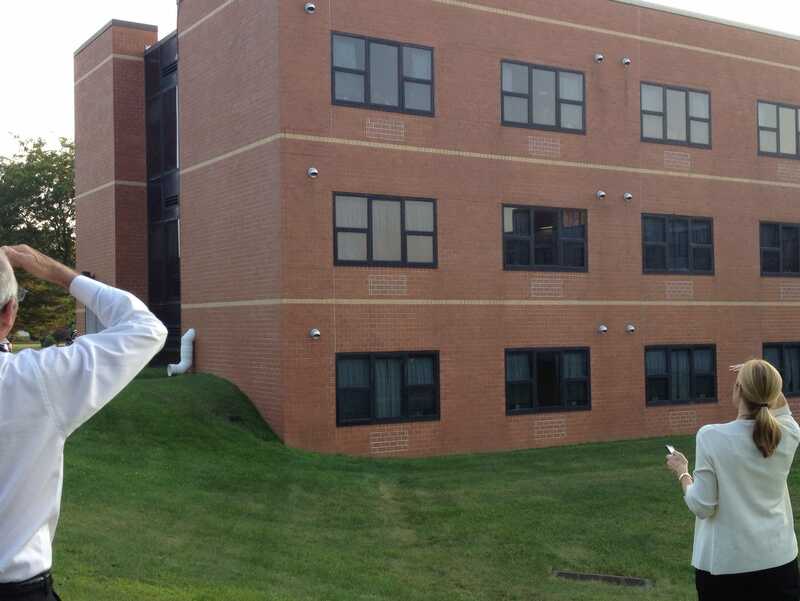 Authorities later alleged that Lieberman, Van Holt, Steen and Hamlett had stolen $112,000 from Schwarzberg. Frail and unable to pay her bills, Schwarzberg ultimately moved to a nursing home, where she died in 2013 after suffering a stroke, Carestia says. She was 95. “It’s heartbreaking,” Carestia says now. “There’s a lot of guilt that we carry, but we didn’t know. The more time state investigators spent digging into Lieberman’s client trust accounts, the more Irma Schwarzbergs they found. In the end, they discovered $3.9 million had been stolen from 16 elderly men and women. Most were from the Atlantic City area. Fourteen of the 16 victims were elderly women. Women are twice as likely as men to be victimized by financial scams targeting seniors, according to a report by insurer MetLife. Of the 16 victims, all but two are now deceased. Were you or a loved one victimized by Barbara Lieberman? To submit a claim, contact the Division of Criminal Justice at or mail to 1325 Boardwalk, Atlantic City, NJ 08401. Susan Hamlett and Sondra Steen were arrested first, at the end of 2013. On March 19, 2014, it was Lieberman’s and Van Holt’s turn. Lieberman and her husband, David S. Lieberman, were home getting ready for their day when the doorbell rang. The State Police were outside. “When I looked at the search warrant and saw Jan Van Holt, I said, ‘Oh —-,’ ” David Lieberman recalls. Lieberman and her three co-defendants were each charged with money laundering, conspiracy and theft by deception. Van Holt, 58, and her sister, Steen, 59, both of Linwood, were additionally charged with official misconduct. Lieberman, Van Holt and Steen conspired on 12 of the 16 cases, authorities say. 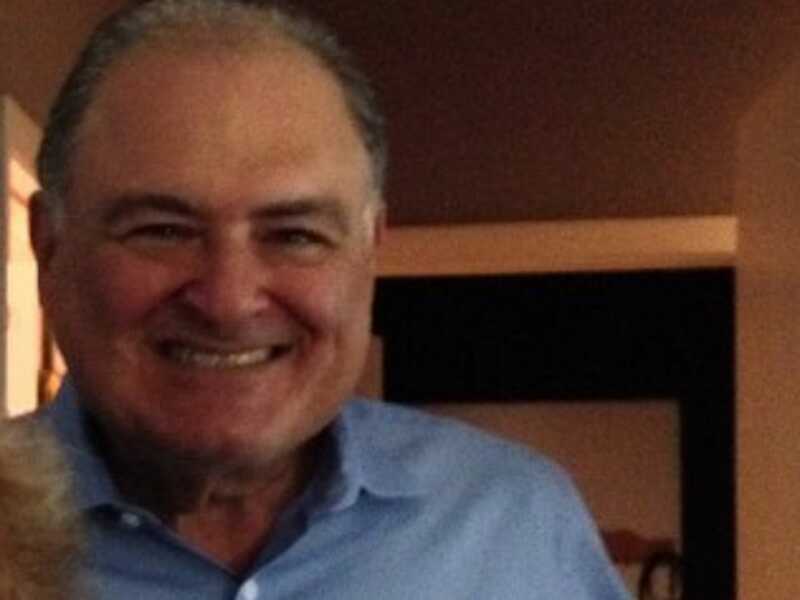 Lieberman diverted some of the money to pay off six-figure credit card bills, while Van Holt and Steen allegedly used their share to pay veterinary bills, buy two Mercedes and pool supplies, and make lease payments on Van Holt’s Florida condominium, authorities say. 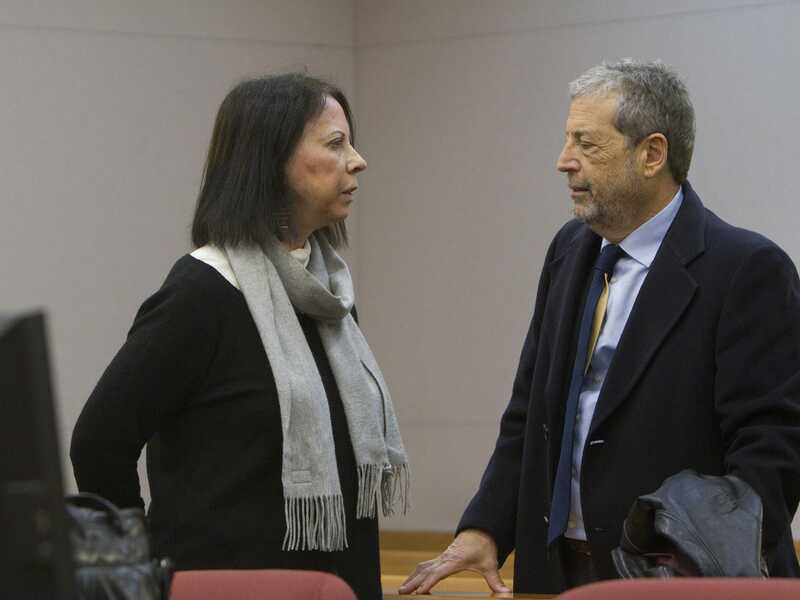 Barbara Lieberman with her husband, David, in state Superior Court in Atlantic County for a hearing. Hamlett was charged only in connection with Schwarzberg’s case, authorities say. 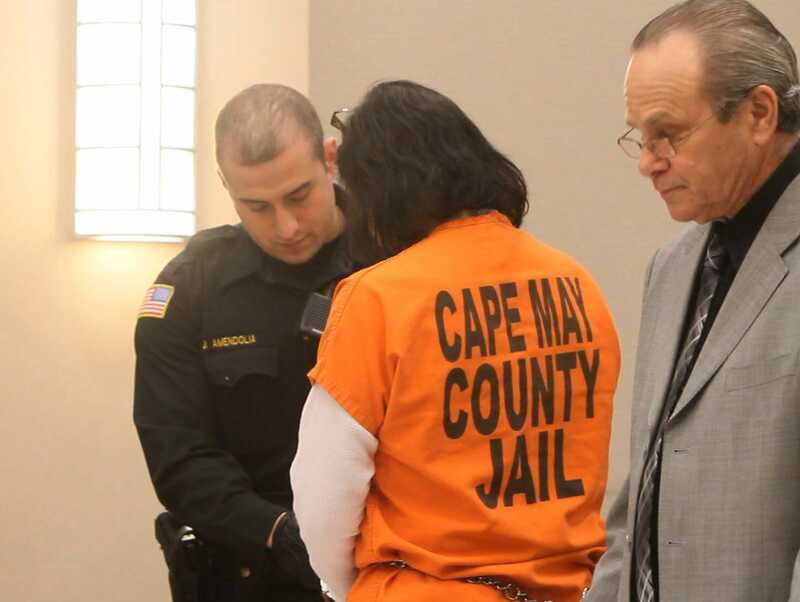 On March 17, nearly a year after Lieberman’s arrest, authorities announced charges against two additional defendants: William Price, 57, of Linwood, and Dr. Maria Teresa S. Daclan, 53, of Galloway. Price, a former county caseworker with Van Holt, was charged with money laundering, official misconduct and theft by deception. Price allegedly helped steal $830,000 from Thomas and Mary Kearns, keeping $125,000 for himself, authorities say. Daclan, an Atlantic City-based psychiatrist, was charged with hindering apprehension or prosecution by lying about allegedly forged incapacity affidavits. She was admitted into a pre-trial intervention program for first-time defendants on June 5. All charges against her will be dismissed upon her successful completion of the program. Lieberman began cooperating with authorities immediately, though she didn’t tell her husband at first, he says. The irony in the whole case? Lieberman was a wealthy woman before the thefts. Barbara Lieberman and her husband, David, purchased a three bedroom, four bath unit in this building in Brentwood, California in 2002. It was valued at $873,700 by the Los Angeles tax assessor last year. “Our sons were grown. We had no debt. I paid off our mortgage,” says David Lieberman, a retired attorney. The Liebermans, who have three sons, have lived since 1982 in the same nondescript colonial on a cul-de-sac in Northfield, a worn middle-class city. The home is assessed at $346,200, property records show. In 2002, the Liebermans purchased a condominium unit in Brentwood, California, an upscale suburb of Los Angeles, to use when they visited their sons, who live in the area. The house was valued at $873,700 last year by the city assessor. David Lieberman says he inherited the bulk of the money for the Brentwood home from his parents. His wife’s only extravagance, he says, was a new beige BMW 535i she bought in 2012. The sedan, which Lieberman agreed to forfeit, has a value of $35,000, court records show. Barbara Lieberman had to forfeit her BMW, valued at $35,000, as part of her plea agreement with prosecutors. Today, more than a year after Lieberman’s arrest, her friends and family still struggle to come to grips with the charges against her. Judy Cantin, the founder and director of a cat rescue charity called Cape-Atlantic C.A.T.S., describes Lieberman, who handled the group’s legal work, as a “lovely, animal-loving …lady.” The charity’s acronym stands for Citizens Altering the Strays. Another longtime friend, attorney Steven Kaplan, who shared office space with Lieberman in Northfield, says Lieberman donated turkeys to indigent families at Thanksgiving and devoted “thousands” of hours over the years to the stray cats and dogs she helped rescue and nurse back to health. If not money, what was the motive? David Lieberman says he hasn’t broached that topic with his wife. “To be honest with you, I guess I know about 40 percent, after a year, so I’m not pretending I know all the answers,” he says. His own theory is that these were assets that her clients would have had to “spend down” in order to qualify for Medicaid. In cases where clients had no heirs, the money would have gone to the state upon their deaths. “I think (her thinking) was, ‘I’m not taking the money from this woman. I’m taking it from the state of New Jersey and who cares about the state of New Jersey?’ — which is wrong, but I think that’s how it was rationalized. But that’s a theory of mine,” David Lieberman says. Yvonne G. Maher, the assistant attorney general who prosecuted Lieberman, summed up the elder thefts at Lieberman’s sentencing on March 25. 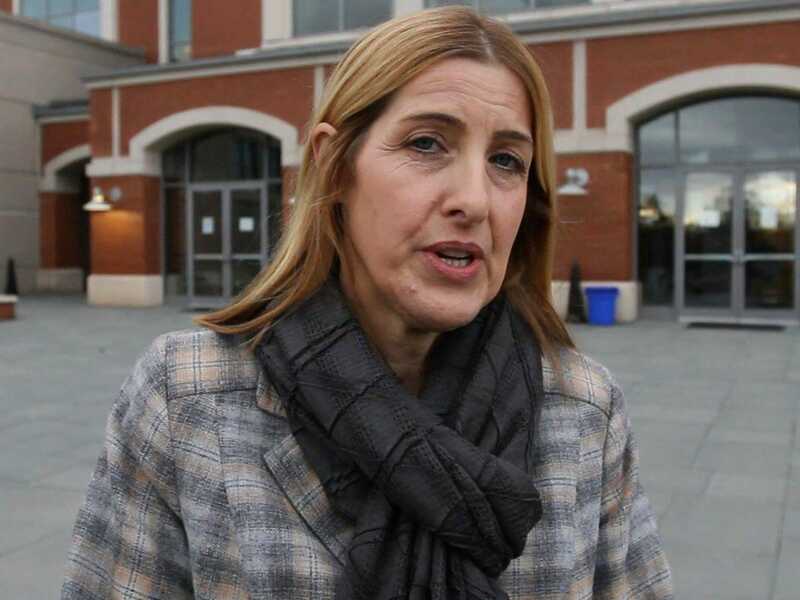 After Helen Hugo’s incapacity ruling, Barbara and Ken Martin regrouped. Giving up was never an option, they say. “I am, I guess … obsessive,” says Barbara Martin, Hugo’s niece. Barbara Martin in front of the Atlantic County courthouse after a competency hearing for her Aunt Helen Hugo. The Martins filed an appeal, and continued to dig into Lieberman’s case history. Eventually, they were able to track down some of Lieberman’s former clients and relatives of former clients, who had their own stories to tell about their dealings with the attorney. One of them was Dan Cincotti, who clashed with Lieberman over her handling of his late mother’s estate. Rita Cincotti, 76, died in 2008, a day before she was supposed to execute her will, her son says. State Superior Court Judge William C. Todd III, the same judge who handled Helen Hugo’s capacity trial, later appointed Lieberman to administer the estate. Dan Cincotti says his mother wanted him to move into her Galloway home in the event of her death to take care of his developmentally disabled brother, Richard, 58. But Lieberman wound up selling the house in 2013 for $66,000, roughly one-fifth its assessed value, property records show. “She did a number on us,” Cincotti says. The Martins say the case was typical of the way Lieberman operated. “You didn’t have to be incapacitated for her to pick on you,” Barbara Martin says. Barbara Lieberman in Superior Court. The day of Lieberman’s arrest, the Martins were home when their attorney called them with the news. Ken Martin found the news story about Lieberman online, and called for his wife. “I went in and looked at the screen, and saw Barbara Lieberman in her orange jumpsuit and her mugshot. I couldn’t believe it,” Barbara Martin recalls. She said she was so overcome with emotion, she had to leave the house and collect herself. She still tears up, just recalling that day. In the wake of Lieberman’s arrest, state Sen. Jeff Van Drew, D-Atlantic County, cited the “crucial” role that Barbara Martin played in coming forward with information about Lieberman’s activities, according to media reports. Van Drew said he relayed the information to the authorities. But the Martins’ euphoria quickly faded. Months passed, without any change in Hugo’s status. She remained in a county-owned nursing home, even after new evidence emerged that raised fresh questions about Lieberman’s handling of Hugo’s money.